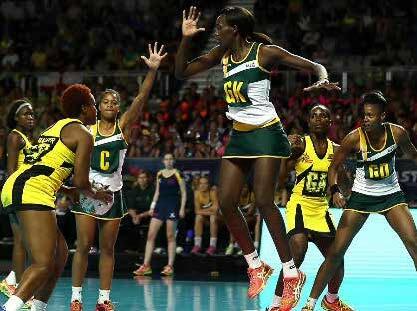 South Africa's win to host the 2023 Netball World Cup could inspire more girls to take part in the sport. Netball is underdeveloped in schools around South Africa, and this landmark event is expected to empower girls to get into the sport. It is the first time that the largest women's sporting event in the world will be hosted on African soil. Cape Town was awarded the title of host city after a team comprising the city, Netball South Africa (NSA) and national and provincial government, presented a successful bid to the International Netball Federation. “A lot of hard work and intense preparation from all spheres of government went into the bid to present what Cape Town has to offer. It was a team effort which showcased our world-class facilities and infrastructure, as well as our expertise in hosting major international events,” said Cape Town Mayoral Committee Member for Safety and Security JP Smith. The tournament will have direct economic impacts through visitor and organiser spend create jobs and will help promote women’s sport. “It will inspire young women to break through the norms of society and traditional roles. This will empower them to follow their dreams. It will create social cohesion and infuse the city and nation with netball’s positive values,” said Blanche de le Guerre, the chief executive of NSA. The biggest part of NSA’s preparations for the World Cup will be in its domestic development programme. De le Guerre identified current South African netball captain Bongiwe Msomi as a perfect example of how netball can change the lives of young girls, no matter their background. Msomi (31) grew up in an impoverished household in Hammarsdale with seven brothers and sisters. “She started with nothing and netball empowered her and gave her so many opportunities in life. When you are at training or playing on court you are all equal, it is then not important how poor or how rich your parents are,” said De le Guerre.